The proposed Energy East pipeline is a 1.1 million barrel per day (bpd), 4,500 km pipeline from Hardisty, Alberta (AB) to Saint John, New Brunswick (NB). The pipeline will transport crude oil from Hardisty, AB and Moosomin, Saskatchewan (SK) to delivery points in Québec (QC) and NB. The delivery points include the Suncor refinery in Montreal, Valero refinery in Levis, QB and Irving refinery in Saint John, NB. There will also be marine terminals at Cacounna, QB and Saint John, NB to export oil to international markets. The project will consist of conversion of a portion of TransCanada’s gas mainline to oil service and a new build pipeline to continue on to eastern Canada. The pipeline will be constructed and owned by Energy East Pipeline Ltd., a wholly owned subsidiary of TransCanada Oil Pipelines (Canada) Ltd. In Ontario and Quebec, several communities affected by Enbridge Line 9 will now be faced with a much larger challenge. 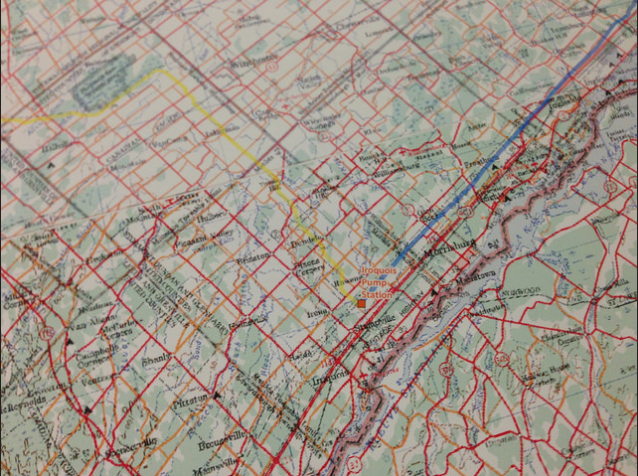 The existing natural gas pipeline ends at Iroquois, ON. From there, TransCanada is proposing to build a new pipeline. Affected communities include Iroquois, Morrisburg, Ingleside, Long Sault, Cornwall, Martintown, Chute-à-Blondeau, Hawkesbury, Ottawa River, Mirabel, Blainville, Terrebonne, and Montreal. 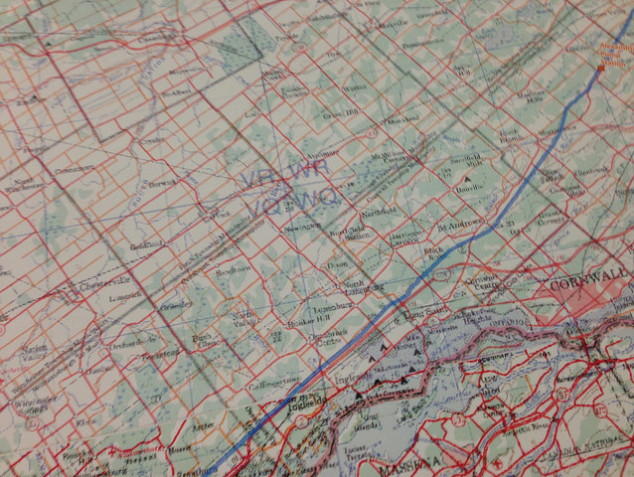 The new pipeline will likely follow a similar path to the Line 9 right-of-way (ROW). 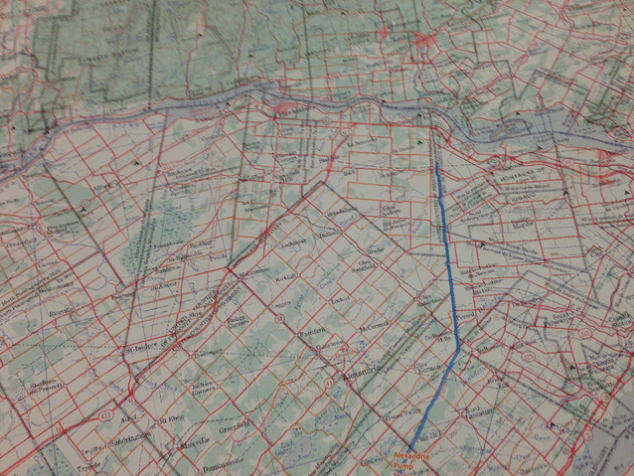 Click Here for detailed local maps of Line 9 in these areas. The below maps have been provided by the Council of Canadians. The highlighted yellow line is the existing pipeline. The blue line is the proposed new build.